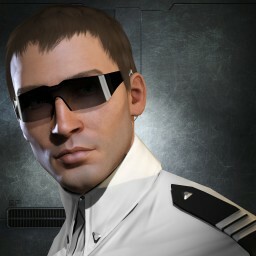 Ganking is of course part of the game, and CCP is unlikely to do anything about it. Why? If ships are not blown up, nobody would buy new ships to replace them, and mineral prices would plummet quickly. I'm sure that would make miners way more sorry than ganking. So, can an Orca survive a gank? Can Orca make it harder for the gankers? When fitting a ship in EVE one always has a choice: more DPS, more tank or more mining laser output. Ships have limited number of slots, so they cannot be fit to excell at everything. As a high-sec miner, one would immediately assume that he should fit for mining laser output, whereas Orca pilot would fit to expand the cargohold as much as possible. Why would they fit any tank if they don't anticipate any combat? Is the extra cargo space/mining output worth losing Orcas and Hulks? Does the margin gained by fitting 100% towards mining output or cargo capacity cover the losses? If your answer to this question is "yes, my profit margins are so great that I don't care about losing a few Orcas", then go ahead, fit for cargo space, and stop reading right here. However if the margins over untanked ships don't come close to the price of your Orca, read on. What I should do to make my Orca harder to gank? While this fitting won't prevent a gank from happening, it forces the gankers to use five time as many ships to perform the gank (cargo expanded Orca only has 64,8k EHP, because Cargo Expanders and Cargo Rigs reduce hull and armor respectively). Unless someone is really determined to gank your Panzer Orca (which, knowing James315 is of course entirely possible), gankers will most likely ignore it and look for an easier target. 282k EHP with base Tech II fitting, Tech I rigs and Shield Harmonizing link II. This fit can be further improved by using Tech II rigs and deadspace mods, but the latter would again encourage the gank, so I don't really recommend it, but yes, it's doable. With Estamel's hardeners, the EHP reaches mind-blowing 380,000, but 2 billion worth of officer modules will more than likely encourage the gankers to kill the ship for loot. have less cargo, but reduce probability of losing the ship by a substantial margin. There is one more advantage to this fit: it increases EHP of all barges and exhumers in the fleet. It works as if they had one more Tech I Invulnerability Field. Pretty neat, eh? Of course there is! First off, watch local. While it was not initially intended to be an intel tool, it has quickly become one and you should make the best possible use of it. If local is at lets say 15 pilots, and then out of a sudden a ship warps to your belt and local jumps to 30, this is a sign of incoming danger. I would warp out if I were you, just in case. Better safe than sorry! Every player in EVE who did any PVP is also very familiar to the directional scanner. It's basically a magic radar that tells you what ships and other items are in space in a given range and angle from your ship. If you have ever mined or missioned in low sec you have most likely used it as well. Yes, you have to actively scan every x seconds, and if you see a group of ships like Tornado, Brutix, Catalysts or Thrashers showing up on radar all at once, it's better to warp out. You can keep an align to a station or celestial, but this means your ship will be moving. Depending on how you mine, this might be a serious disadvantage. What does it do? It allows for a very quick warp out in case of danger - just hit WARP and you will be on your way. Always anticipate PVP in EVE. Fit tank on your Orcas, fly tanky Skiffs for mining. Take the game mechanics available to you in your hands and play them to your advantage! By using the fit above you agree that author of this post will not be held responsible if you lost your Orca despite fitting Panzer Orca fit. Sufficiently determined group of pilots will always be able to gank any ship in high sec, including famous Chribba's Veldnaught. It's only a matter of determination and amount of combat ships involved. A drive that should not be tampered with » « My Fedo… my little Fedo!